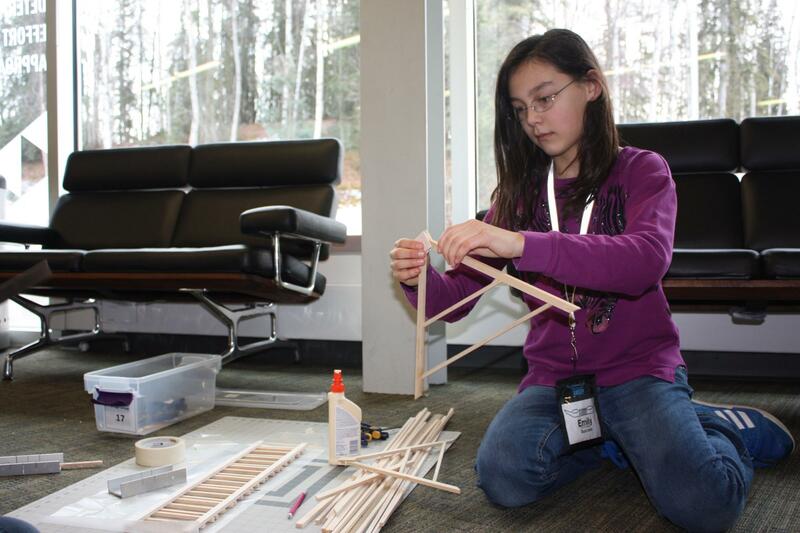 Chapman Middle School Student, Emily Charles builds a bridge during an ANSEP Course in Anchorage. Credit Photos Courtesy of ANSEP. Two middle school students from Anchor Point and one from Nanwalek are attending a course through the Alaska Native Science and Engineering Program (ANSEP) this week. The students included in the Middle School Academy are Emily Charles and Fawna Johnson from Chapman School, as well as Jada Moonin from Nanwalek School. The academy is being held at University of Alaska Anchorage. All three students will be participating for two weeks, along with 50 other students. The program has a focus on hands-on science, technology, engineering and math (STEM) activities and aims to create a passion for education in these subjects and career paths. Acceptance to the program was based upon academic records, and responses to essay questions. By sending their application in, students gained an experience of sending in college-like applications. After being accepted, the program is all-expenses paid. 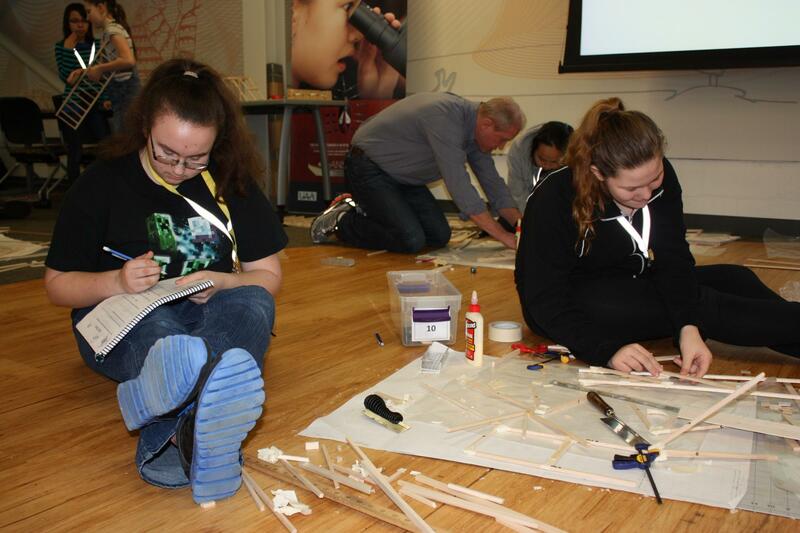 Centering the learning on team-based activities and problem solving adds to the real world experience the students can gain from the program. Examples of the projects include field excursions, earthquake engineering and science exploration led by ANSEP staff and professionals. Chapman Middle School Student, Fawna Johnson working on a bridge project during the ANSEP course. On Wednesday, the girls were challenged with an engineering project that tasked them to design and build a bridge to later be tested. They’ll later be testing the bridges using a strength-to-weight ratio. ANSEP begins working with students at the middle school level and keeps working with them though high school and until they’ve graduated college. The programs aim to inspire children to work in STEM fields. ANSEP participants also have a track record of competing algebra 1 before high school. While nationally, 26 percent of students complete the class before entering high school, more than 77 percent of Middle School Academy students complete it. ANSEP has six Middle School Academies that will take place in the 2015-2016 school year.